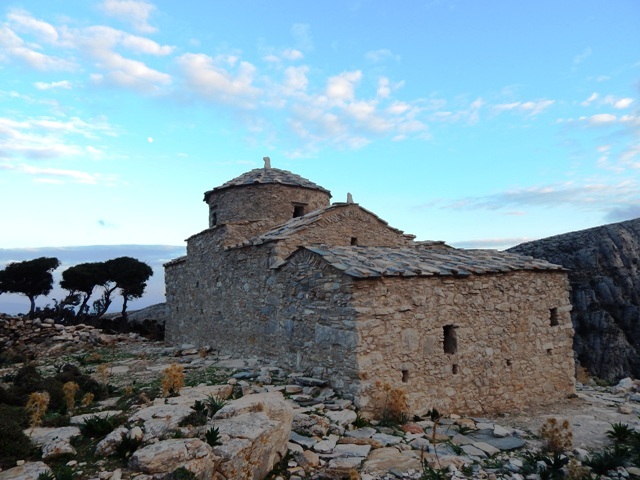 Greece’s 8th Century Byzantine Church Agia Kyriaki located on Naxos island has been awarded by 2018 European Union Prize for Cultural Heritage / Europa Nostra Awards, which is, in fact, one of Europe’s top honors in the field of cultural heritage. The restoration of the Byzantine church of Agia Kyriaki has been awarded in the category of the “Conservation” for the year 2018. Greece was also awarded in the same category for its contribution, alongside with Egypt and Italy, to the Collaborative Conservation of the Apse Mosaic of the transfiguration in the Basilica at St. Catherine’s Monastery in Sinai. This building is one of the most important Byzantine monuments of Naxos and the great interest in the church is gained by the apse of its sanctuary, which presents birds with red ribbons on the neck, which according to the researchers is supposed to symbolize the Apostles or the church. There could be found also many rich non-figurative decorations inside of the church that include animals, floral and geometric patterns, dating back to the period of iconoclasm and aniconic art (around 8th and 9th centuries). Agia Kyriaki, the saint to whom the church has been dedicated, was a very religious woman coming from Nicomedeia of Asia Minor. She is believed to be the sister of all the suffering people and thus the believers admire her untiring fortitude in her care for them.